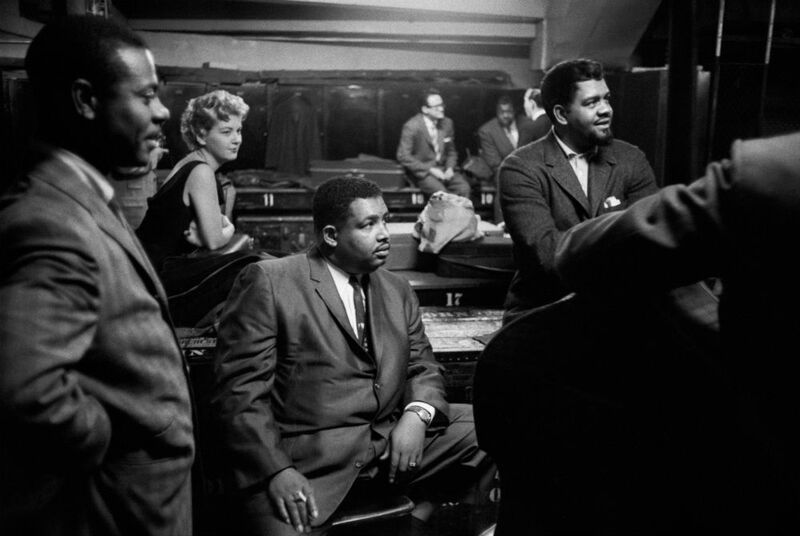 Beyond the way Helen Merrill sings behind the beat (with a lag as it were), beyond the sensuality of how she plays with time, I found it difficult to define just why her voice moves me so. And then, reading an interview with her (Wayne Enstice and Janis Stockhouse, Jazzwomen: Conversations with Twenty-One Musicians; Indiana University Press, 2004, p.264), I found the source of my enchantment in her assertion that ‘It’s the unspoken that touches people. Not what’s coming out of my mouth. It’s what I don’t say. It’s the sound that I don’t make that includes people.’ Yes, that’s it. And, be it said in passing, that is a fundamental principle of all art. Ethereal, the airy light of Helen Merrill’s voice bodies forth the earthiness of the night; misty, it curls up toward us like smoke. It’s a barely murmured breath, skin becoming flesh in the company of fabulous partners: Clifford Brown, Miles Davis, Stan Getz, Quincy Jones, Ron Carter, Wayne Shorter, Gil Evans, Bud Powell and, above all, Gordon Beck, an exceptional pianist and talented composer in the vein of Bill Evans. 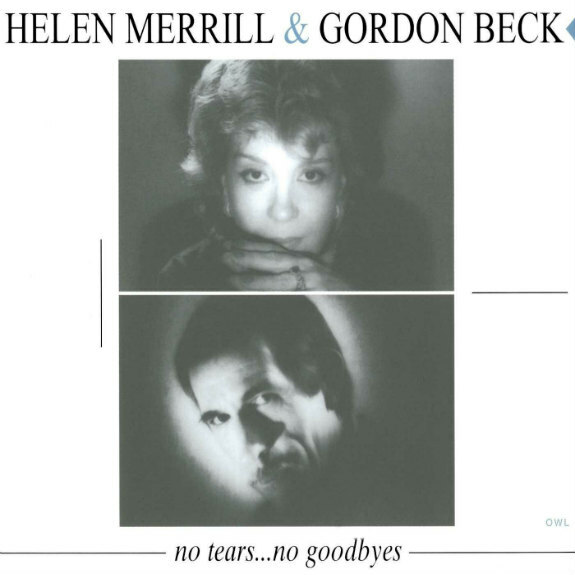 Beginning in 1983, Gordon formed a musical couple with Helen, a troubling duo: piano and voice intermingling in a broken line of melancholy, inventiveness hand-in-hand with a tenderness that stops short of tears. Helen and Gordon, twinned in bittersweet lament, re-acquaint us with the beauty of the meandering voice. 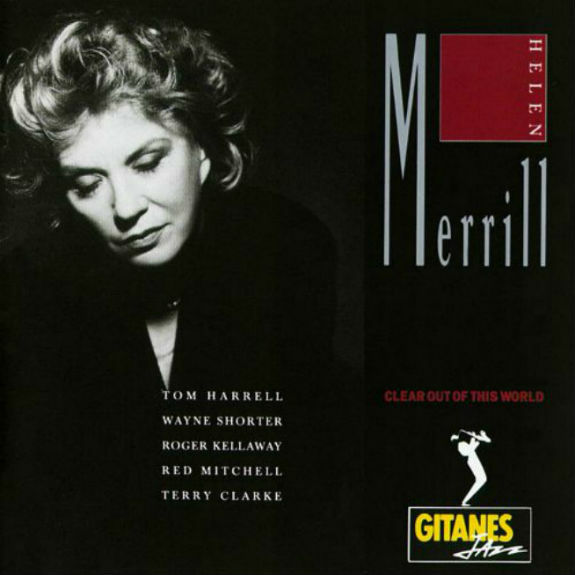 Helen Merrill has been singing, in us, for us, since 1953. Right from 1954, she made jazz history with Clifford Brown, Oscar Pettiford, and then, in 1956, Gil Evans. Since then, the path she has pursued, her loyalties, her silences, have made her this woman with with a silken voice of nocturnal hue, a voice slow in its attack but which penetrates the depths of us. Refined and lyrical, Helen takes us back to Bill Evans’ intimations of magic, but brings her own frank sorrows and tentative smiles, her feminine affirmation that everything is still possible because she has seen it all. Helen’s got inspiration and endurance, then, and above all a prodigious technique. She has mastered the art of insinuating through sound: gently a fire dances in the hollows of our ears, ghosts of songs haunt us. 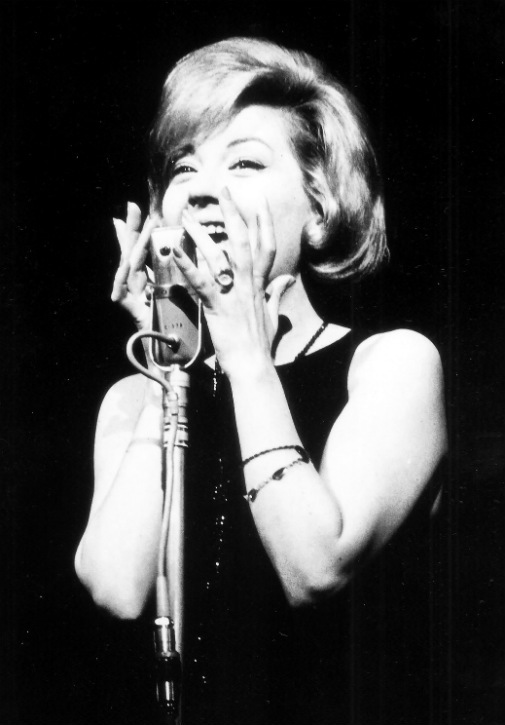 Through faithfulness and exile, Jelena Ana Milcetic, daughter of Croatian immigrants, has become Helen Merrill. The blonde with a nocturnal voice has become the voice of starry nebulae. This ‘Sophisticated Lady’ knows better than anyone how to suggest solitude and longing, tender night and the cold light of day. Muted, distilled, her voice is a sky-blue shawl on the shoulders of jazz. We still shiver but we’re no longer cold. Winds have often blown unfavourably for the fair Helen, or rather Helen of Destroy: time lost in the wilderness, oblivion’s leaden silence, exile in Japan—not to mention bouts of toxic delight. From all these journeys to the end of her nights Helen has returned with a serene emotion: the memory of love. Shadow and light play in her voice, dark timbres drape its luminosity. It is a voice made up of intimations and hesitations, of sound yielding to silence as tones evaporate. Tenderness infused with the pain of experience, innocence regained thanks to a sleepwalker’s voice: hovering between wakefulness and dream, her voice is not mainstream. Helen, the fair Helen, is a music maker with a heightened awareness of the tragic. Now at last she has linked up with her Croatian roots and assumed her real name. 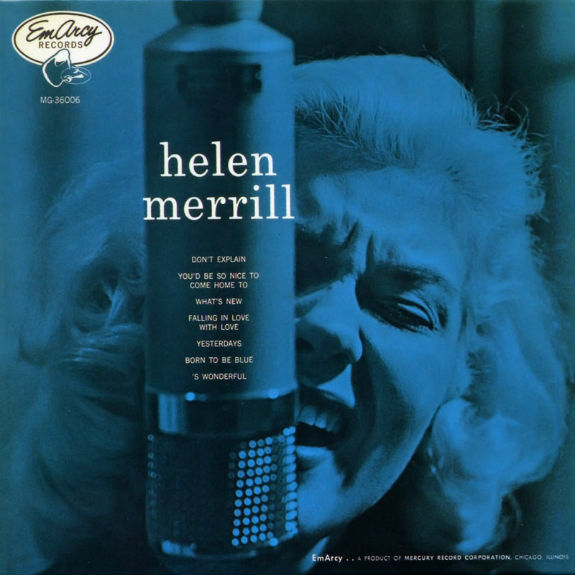 Helen Merrill has never made a bad record and, while she scarcely conforms to the image of a swinging jazz singer, she’s a stylist of unique poise and sensitivity. Her early work is as involving as her mature records. She sings at a consistently slow pace, unfolding melodies as if imparting a particularly difficult confidence, and she understands the harmonics of the songs as completely as she trusts her way with time. That gives these lingering performances a sensuality which is less of a come-hither come-on than the similarly inclined work of a singer such as Julie London. Merrill thinks about the words, but she improvises on the music too. Her treatment of ‘Don’t Explain’ is cooler yet no less troubling than Billie Holiday’s exaggerated pathos, and ‘What’s New’ is a masterpiece.